Meteor House » Phileas Fogg and the Heart of Osra – Cover Reveal! 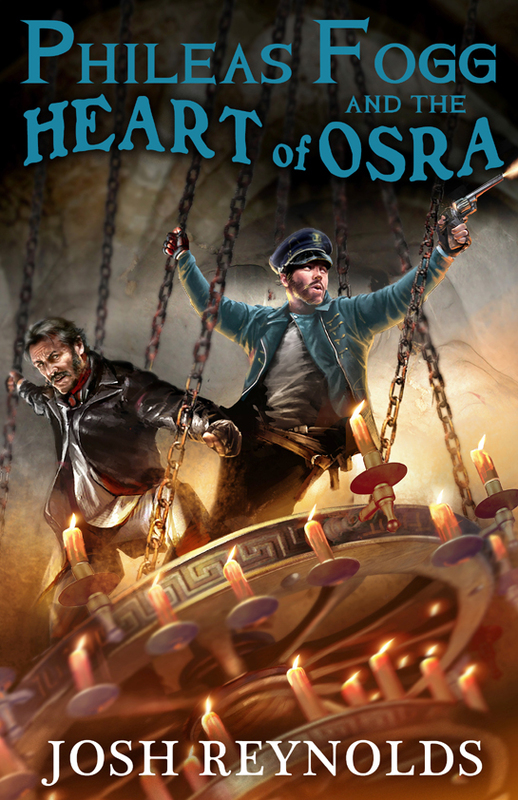 Phileas Fogg and the Heart of Osra – Cover Reveal! Last month we announced a brand-new novella by Josh Reynolds, Phileas Fogg and the Heart of Osra—this is of course a sequel to his terrific adventure Phileas Fogg and the War of Shadows, which you know was a sequel to Philip José Farmer’s The Other Log of Phileas Fogg. Today we’re thrilled to reveal the fabulous cover by Amar Djouad! Believe it or not, this cover barely hints at the action in this novella! Be sure to preorder your copy of Phileas Fogg and the Heart of Osra before it goes out of print, as Phileas Fogg and the War of Shadows is on the verge of doing. Comments Off on Phileas Fogg and the Heart of Osra – Cover Reveal!